It's finally here! The website that was announced at The Hamptons screening of Stevie and Dave's movie "In Your Dreams" in early October is now on-line. "lot's will be added as the movie moves towards release"
AWESOME! LOVED the hour long interview video. Stevie is so so so funny! I LOVE HER! I can't wait for the movie!!! Love it! Awesome!! I have followed this album many places since it came out in May of 2011. Can't wait for the movie. Stevie and Dave are phenomenal! This album has a way of lifting my spirits daily! 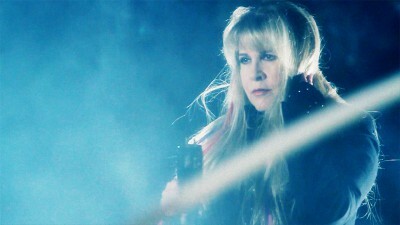 Stevie definitely is the "Rapunzel" of Rock and Roll. Am looking forward to the Mac Reunion coming up next year too. Hope she will get "on board" with Lindsay for a new album too. That would be awesome! When is this going to be released on home video? Or a television airing? Been waiting ever since I first caught wind of a Stevie doc close to 2 yrs. Ago. C'mon now.I Can't Wait. Seriously "I Need To Know"